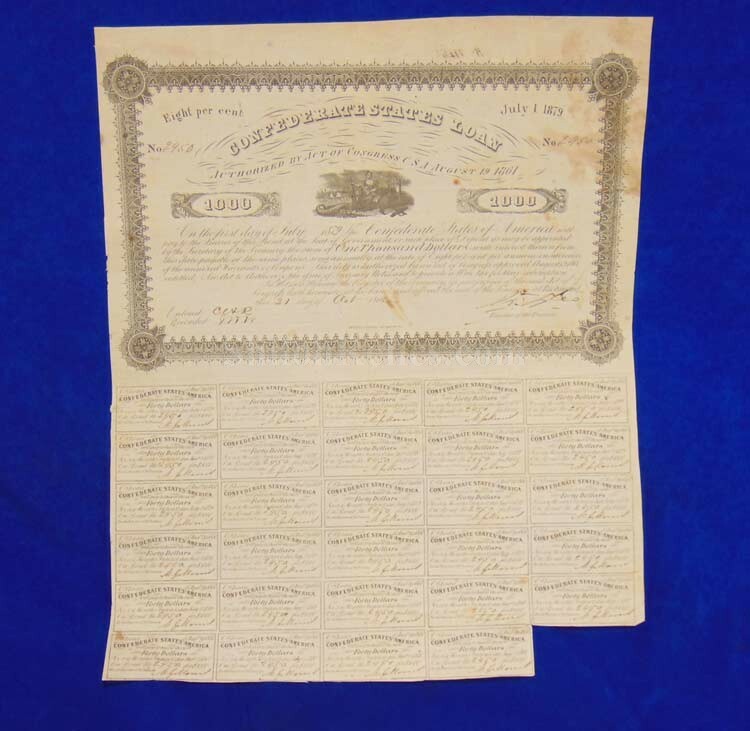 This is an authentic 1862 dated Confederate States of America savings bond. 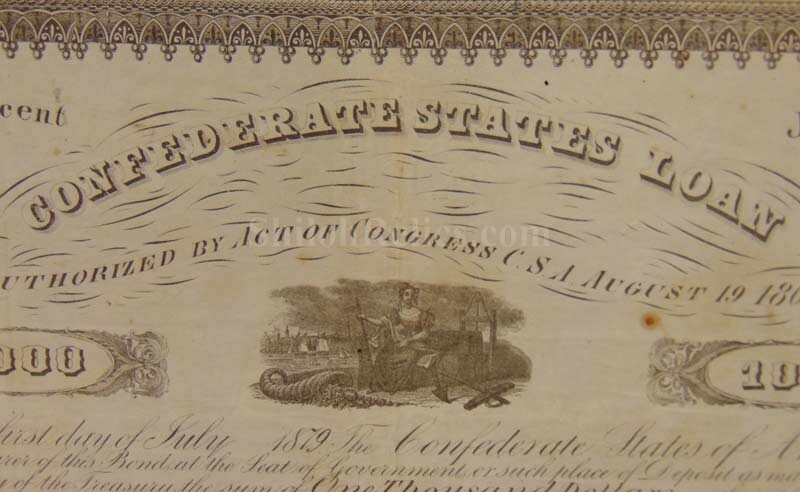 This is the style issued under the act of the Confederate Congress of August 19th 1861 in the $1,000 denomination. 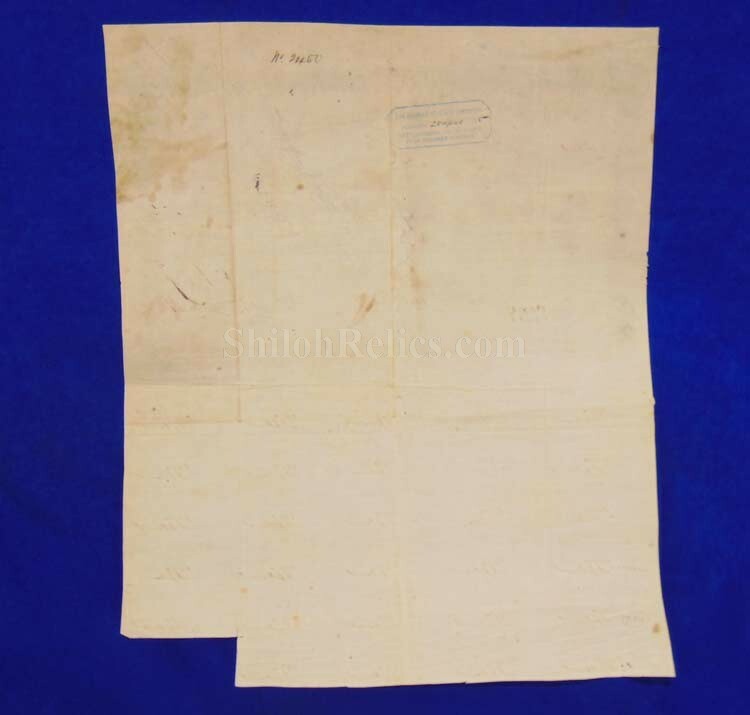 It is hand dated from October 8th 1862 in nice old ink. It is the style that has the likeness at the top of the bond that shows the maiden with the cornucopia with the ships and factories in the background. This one has the correct 29 original coupons attached at the bottom. When the date arrived that is printed on the bottom of the coupon you could cash it in for your interest payment. 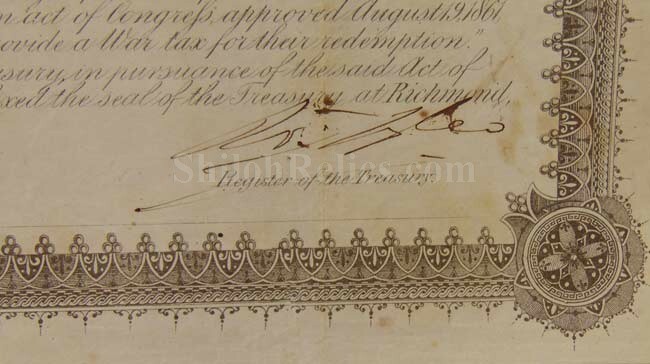 It is correctly hand signed and numbered by the Confederate Government officials in fine brown ink. It has the serial numbers of #2,450. According to the book they issued 2,919 of this style. 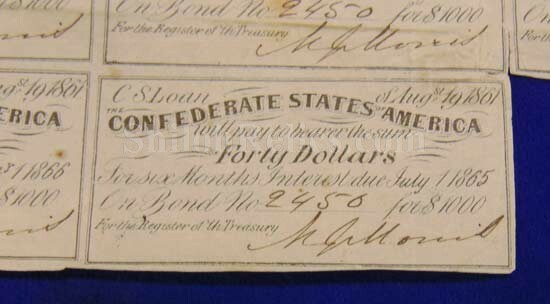 This one is signed by the register of the Confederate Treasury Robert Tyler. Tyler was the son of the 10th President of the United States John Tyler. This always makes a neat thing to point out when you show the bond to your friends. 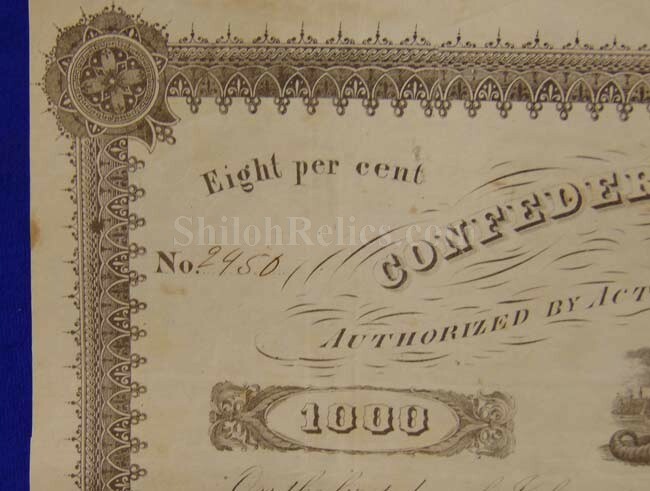 This is the Confederate bond listed as CR-99 in the bond book. Another thing that is cool about this bond is the stamp on the reverse. 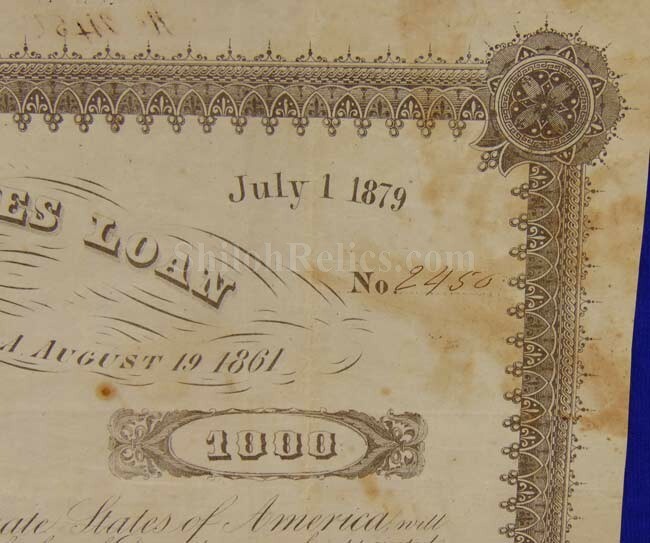 After the Confederacy fell to the Union and the war was over, there were still thousands of dollars of Confederate bonds in banks and private hands over seas. 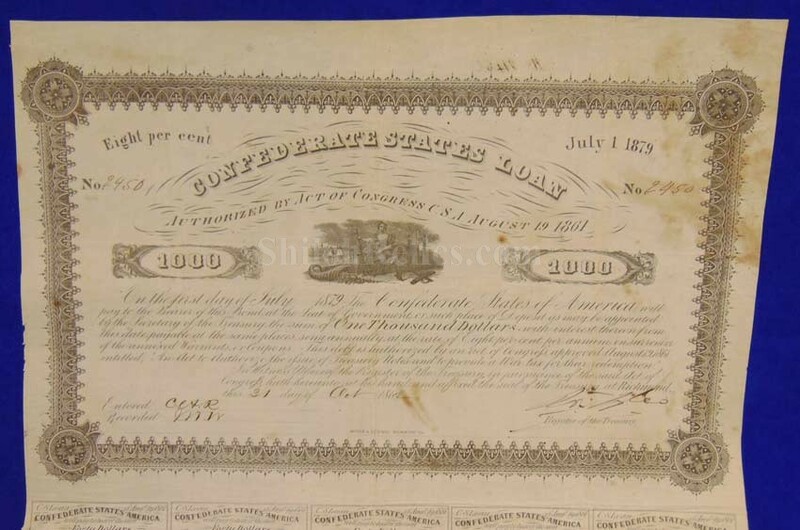 The bonds still had to be accounted for overseas. 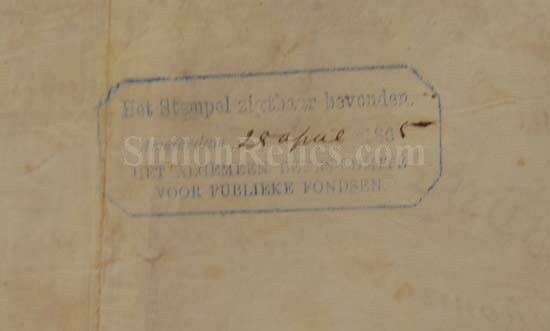 This stamp shows that this one was accounted for in Amsterdam in January of 1866. This is a couple of very interesting things to point out to your friends when you show them the bond. 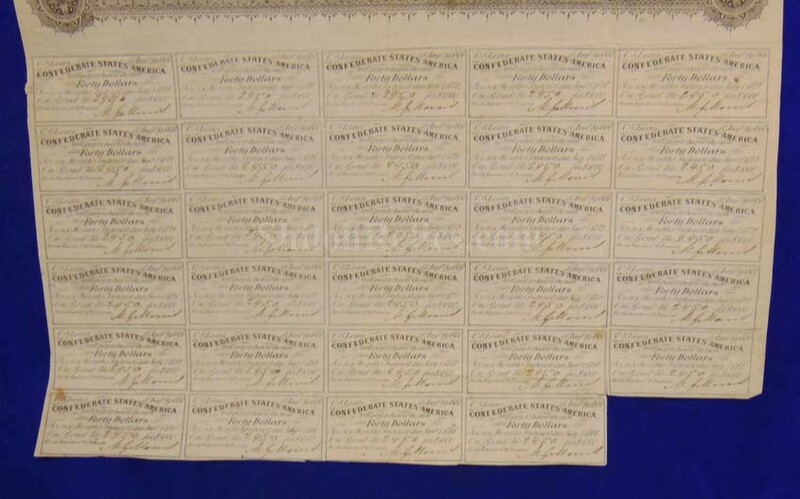 This is a very attractive original Confederate states savings bond.